It was cave-black in the small earthen hut. The opening to the fresh cool air of the jungle was sealed completely by a thick leather shield. A pile of molten stones was giving off immense heat from a small navel in the center of the ground. We had entered our 4th and final symbolic door, a full two hours from when we crawled into the igloo shaped sweat lodge. The heat alone was almost unbearable, and a full bucket of aromatic water that was about to be steam still remained un-spilled. I knew from the third stage that as soon as the water hit the stones I would be hit by a wave of heat like dragon breath. The last time with 6 fewer molten stones, I had gone prostrate to the ground, gasping for what little air I could find. This time I resolved that I would not falter, would not lay down in an act of submission, and my voice would not waiver, no matter how desperately I wanted to escape. This was the time to be a warrior. The sweat lodge is a North American spiritual tradition that followed the path of the Native Americans from Canada to Central America. Often associated with the Peyote tradition, I would learn first hand that no plant medicine is necessary to have a profound, psychedelic-like experience. The power of the sweat lodge lies in both an intense purification through sweat and pungent herbal smoke, and the creation of what truly feels like a near-death experience. In every good sweat lodge comes a point where your body will tell you that you cannot handle any more heat or you will die. In pushing through that point, you conquer your fears of death and have a deep appreciation for life. While the traditions and ritualism surrounding the Temazcal varies dramatically; the idea is usually the same. You give your voice, your sweat, and your intentions to the Earth and your fellow creatures on the planet in a humbling sacrifice. In return, you are purified, cleansed, rejuvenated and the doors of perception wiped clean. Unlike many of the other medicines of Shamanism the sweat lodge is an active medicine. You do not have time for deep introspection like you would in an isolation tank. You are in a battle, and you keep your mind occupied by remembering what you are fighting for. For myself, the moment that “fourth door” signifying the end of the Temazcal was opened, and I lay on my back looking up at the jungle canopy above, breathing the cool misty air, I had an appreciation for nature and the simple act of being alive in a potency that no medicine had ever given me. 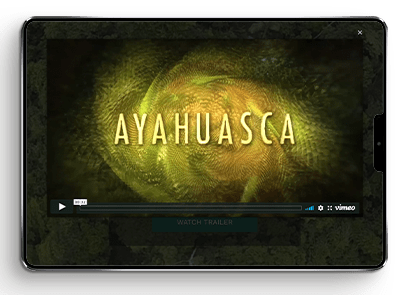 Only Ayahuasca had a similar effect, but whereas the Ayahuasca aftermath was long-lasting and mild, this was acute and incredibly powerful. I recommend the Temazcal for everyone to experience. But be prepared to go to war with your fear and your weakness. If you are claustrophobic or hypochondriacally inclined be ready for the fight of your life. And when its over, look around you at the stars, the earth, the sun, the sand, the plants, the animals your fellow humans… And remember why life is worth fighting for. Really well written, Aubrey. Thanks for sharing. I’m waiting on the opportunity to arise to give this a try. In an Aya ceremony, I found a place of perfect stillness/giving up the fight and even the idea of duality in one of my deepest and chaotic ceremonies. I’m interested to see if something similar arises with the sweat lodge. Thank you Aubrey for doing your work. Where could I this, where did you go to?? yes, i think you could create this scenario. The challenge is that when you do it with a shaman, they know exactly how much you can take, and also there is the music and the scents… But if you get a good eucalyptus spray, or find a scenario where they would let you bring in some copal resin to melt on some charcoal you could get pretty close. The key is to push yourself past comfort but not anywhere near actual danger.